Do you feel like some Sherlock-y goodness? Of course you do! And lucky for you, I just happen to have some. I know, convenient, huh? I came across this awesome li'l fic - the first in a series in fact - about an aromantic Sherlock. I've brought you asexual Sherlock fics before now, of course, but that doesn't mean I can't bring you more dammit! And, as I said last week, fanfiction can sometimes be a godsend when it comes to plugging the gaps in the diversity of your reading. For the last few years, this awareness event has actually taken place in February. I really need to watch Sherlock. It's on my to-do list! Going to demand my boyfriend watches it with me after we've finished Hannibal. 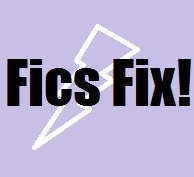 I think the one thing I love about fanfiction is the fact that it is the most diverse you can get! If I was really into it, I think I the spectrum that it goes to would really make me happy. If only regular books would be as inclusive! well hopefully all the fanfiction writers (the good ones anyway) will graduate to mainstream fiction, and bring diversity with them!